Reunited indie-rockers make a rare Midwest appearance. The jangly indie-rockers in Big Dipper were as New England as could be during their late-’80s reign (fitting in nicely with genre-challenging acts like Christmas and Blake Babies), yet Midwesterners dug them. In part that was because of the Boston outfit’s power-pop elements, but also because work ethic and craft seemed more important to the group than being cool or nailing down a niche. You can feel its legacy in the early ’90s run of Guided By Voices and the more ambitious musical (not visual) output of OK Go. 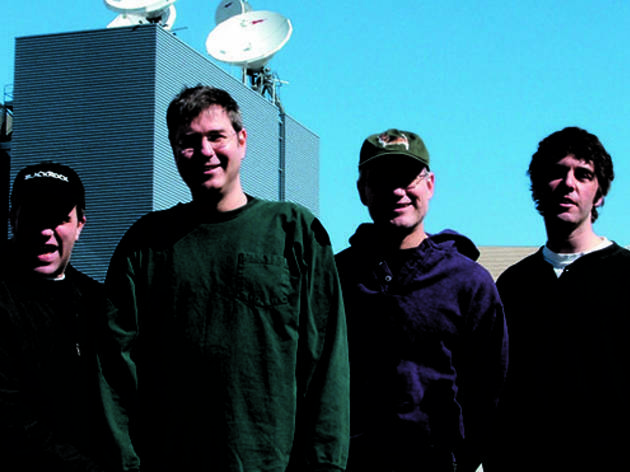 Big Dipper genuinely earned its cult following and critical raves with infectious albums like Heavens and Craps. But when a 1990 jump to a major label predictably didn’t make them the next Duran Duran, the lineup splintered, then sputtered on for a while before breaking up in 1992. 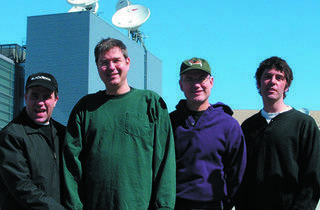 Fast forward to 2008, and a three-disc retrospective, Supercluster, led to original Dips Bill Goffrier, Gary Waleik and Jeff Oliphant reuniting. Last year Big Dipper dropped a new album, Crashes on the Platinum Planet, on the absolutely brilliant reissue/trash-rock label Almost Ready (home of Chicago punk enigmas the Mentally Ill), and its slick, sometimes ghostly, cerebral power-pop odes to guitars, beating cancer and Chitty Chitty Bang Bang characters hold up nicely against the group’s best ’80s work. That this Bottom Lounge gig is one of only a handful is a testament to Chicago’s appreciation for the band, and considering the 22-year gap between albums, you might not want to wait for the next go-round.